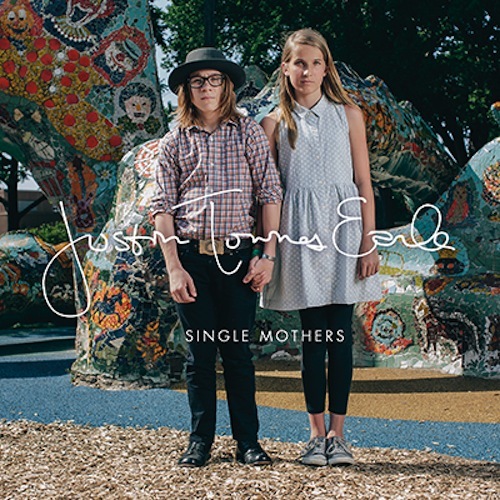 At the end of his new album Single Mothers, Justin Townes Earle dresses down an acquaintance who can’t seem to keep from getting his heart broken, asking him “Are you still starting fires and burning pictures?” Considering that the previous nine songs on the album are devoted to narrators buffeted by matters of the heart to the point of despair, it seems like a question that he should have been asking of himself. Not that any of his fans should be complaining. Had he brightened up and gotten over these wounds too fast, we would have been robbed of the delicious sorrow that permeates the album. Earle clearly knows the value of a good wallow, how a turn of phrase or change into a minor key can dig deeper than any amount of psychoanalysis or self-examination. Single Mothers excels in such surprisingly reaching moments. Earle’s songwriting style here can best be described as unshowy, full of matter-of-fact reflections that don’t try to impress listeners so much as resonate with them. The music he chooses to accompany these laments seems simple until it’s disarming you with its intimacy. Bass lines stumble to their destination, drums keep the beat but don’t break the spell, and steel guitars sigh and moan in conjunction with the sad sacks telling their woeful stories. The tempo picks up occasionally for variety. The aforementioned “Burning Pictures” effectively good-naturedly mocks all the misery, while “My Baby Drives” even gives our hero a happy ending in the form of a companion comfortable behind the wheel both on the road and in their relationship. Those are just temporary respites though. “Time Shows Fools” apes the pop/rockabilly of Marshall Crenshaw as it doles out world-weary wisdom: “I know that when it comes to matters of the heart/ Time shows fools just what they really are.” The pinnacle is “Picture In A Drawer,” as the bereft narrator calls his mother to plumb the depths of his torment. For all of Earle’s lyrical cleverness, nothing hits quite as hard as when he moans out, “Mama, she’s gone” on this stunner of a track. If there’s anything askew about the album, it’s the name of it, which gives the impression that the social consciousness Earle displays in the title track is spread throughout the album. Single Mothers is actually one of those after-hours albums that you put on to either feel some camaraderie with other victims of fractured romance or, if you’re lucky, dip your toes vicariously in that tear-filled pool so that the good thing you’ve found seems even better when the disc spins to its conclusion. Whatever category you might inhabit, Justin Townes Earle has something here you need to hear.